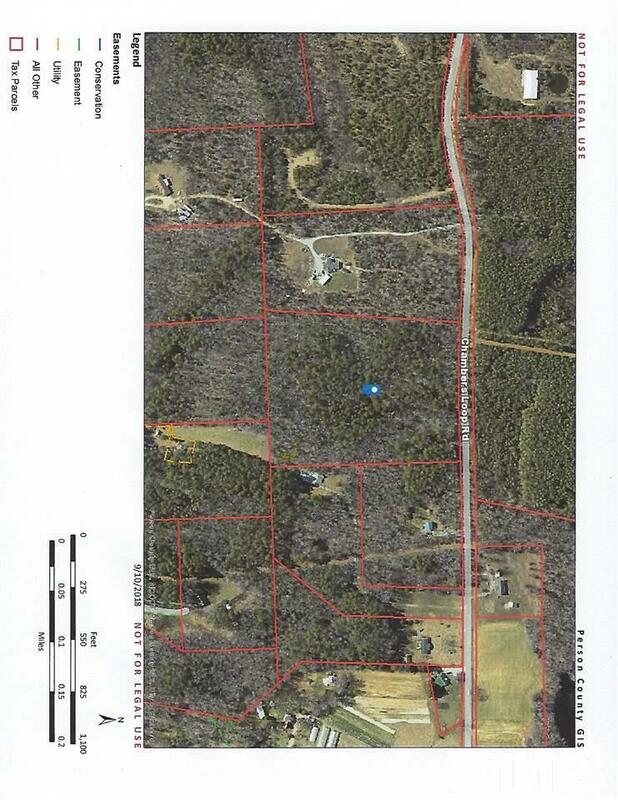 Wooded property approximately 11.6 acres. Build your dream home and have the privacy that you need and want. Property is just a few minutes from 15/501, very easy access to Durham and Roxboro. Lower taxes. Life is GREAT on your slice of paradise! Approximately 593' road frontage on Chambers Loop Road. Measurements are estimates only and not intended for legal use. Property must be surveyed for exact footage. 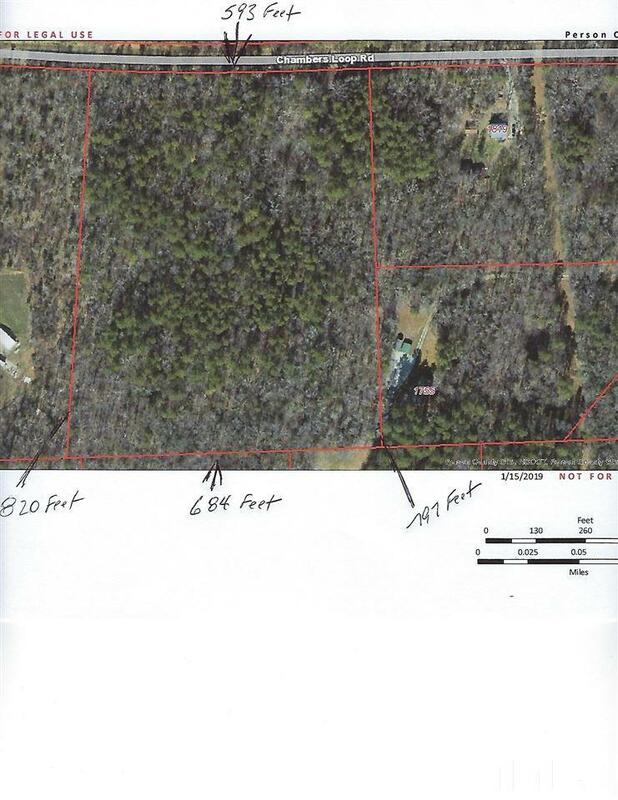 This property is part of Ridgefield Subdivision and does have restrictive covenants. Courtesy of Property Tree, Llc.